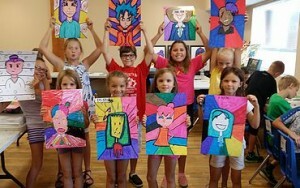 Campers will learn to draw cartoon face, bodies and background, basic animation, manga/anime, pop-art, abstract design and comic book making. Each day will be filled with tons of outdoor fund and creative learning. July 3 to August 29, 2017. Open to ages 6 to 12. Call 519.731.2957 or visit the website for more information.